Now we have longer summer evenings in June & July we thought we’d try evening volunteer sessions from 7.00 on Fridays. The next session will be on July 8th. Do come and join us for an hour if you’d like to help keep Mayfields North beautiful and in tip-top condition. 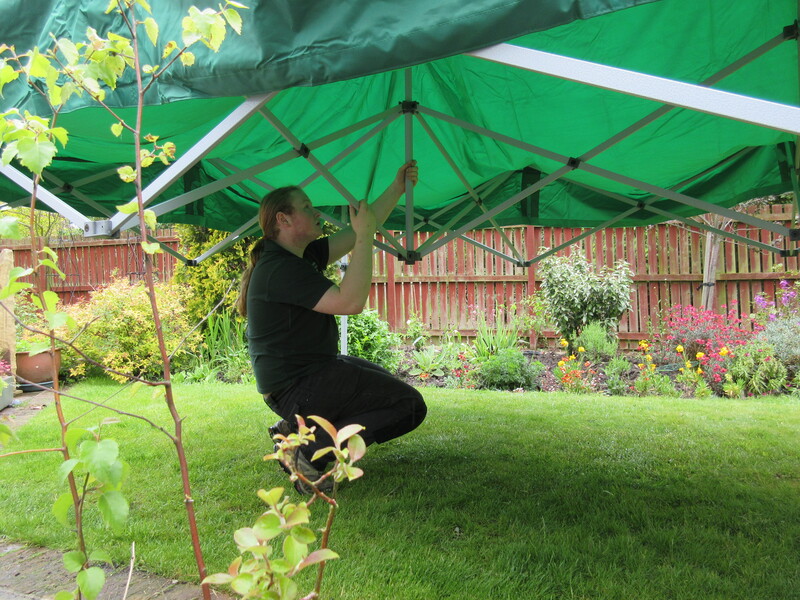 We had useful volunteer sessions on Thursday 16th and Friday 17th June this week. 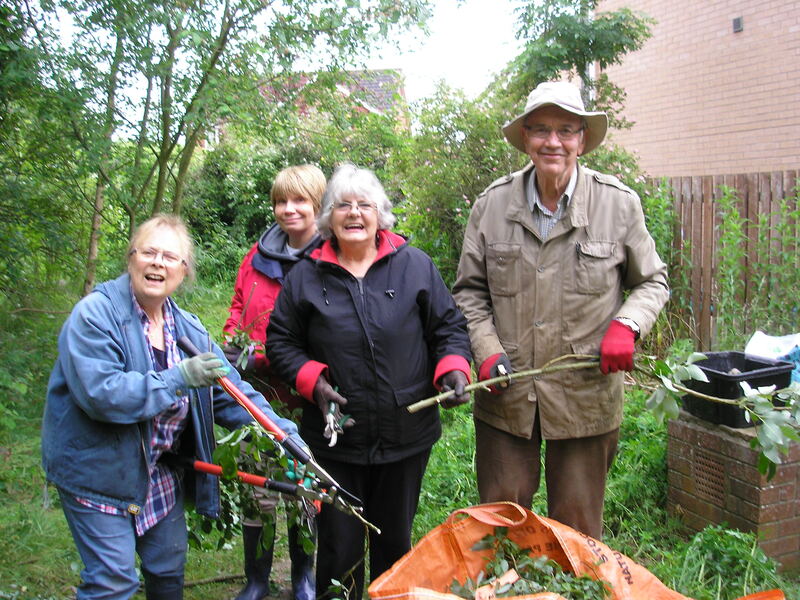 Dave, Adam and Malcolm thinned several overgrown willows on Thursday and Pam, Louise, Margaret, Lesley and Malcolm helped by composting residual off-cuts on Friday, in spite of the light drizzle. 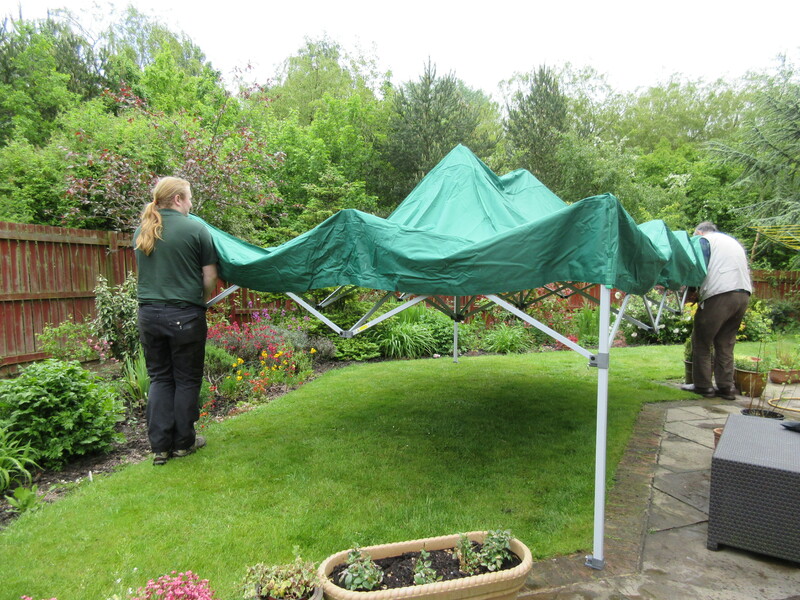 As Pam’s photo shows it didn’t dampen their enthusiasm. After nearly 3 years of T.L.C. 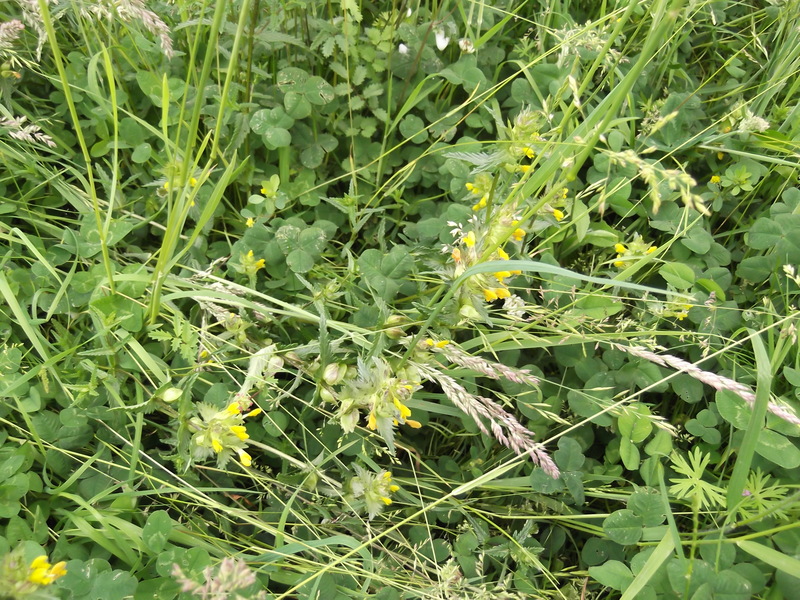 from MCT volunteers we’re pleased to report that the Yellow Rattle (originally only 3 wee plants!) is now starting to spread east of the main path. This should eventually help to reduce the amount of grass trimming required. The great thing about June is that more and more wild flowers start to appear on Mayfields North. 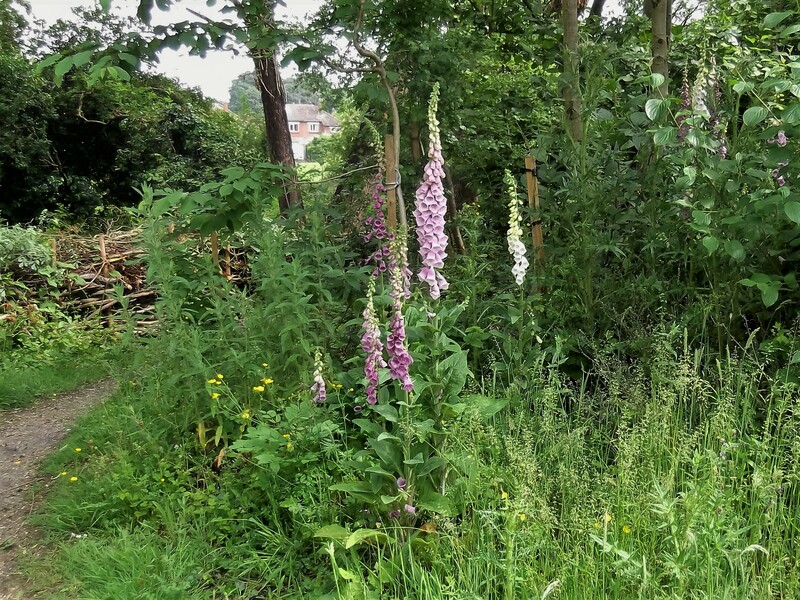 Our current favourites are the Foxgloves beside the path at the Little Hob Moor end of the west bund. MCT raised these from seed and Ben helped us plant them out as plug plants towards the end of last year. The down side of June is that we have to trim a lot of grass. 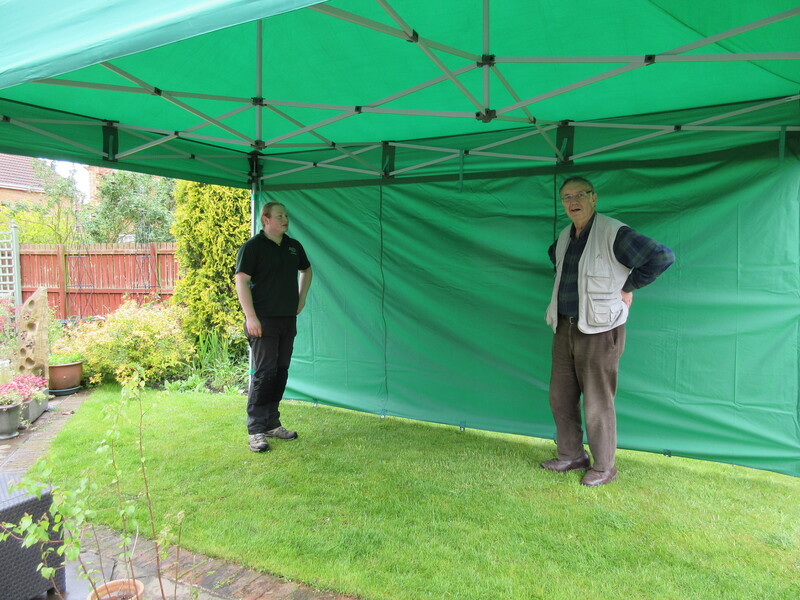 On 26th May Adam and Malcolm tested the new MCT Gazebo (in an adjacent garden) to see how easily it could be put up by 2 people. It’s large but manageable (once you know what you’re doing). Thanks to Louise for catching our efforts on camera and to the Dringhouses & Woodthorpe Ward Committee of CYC for financial support..
Mowing is challenging just now. 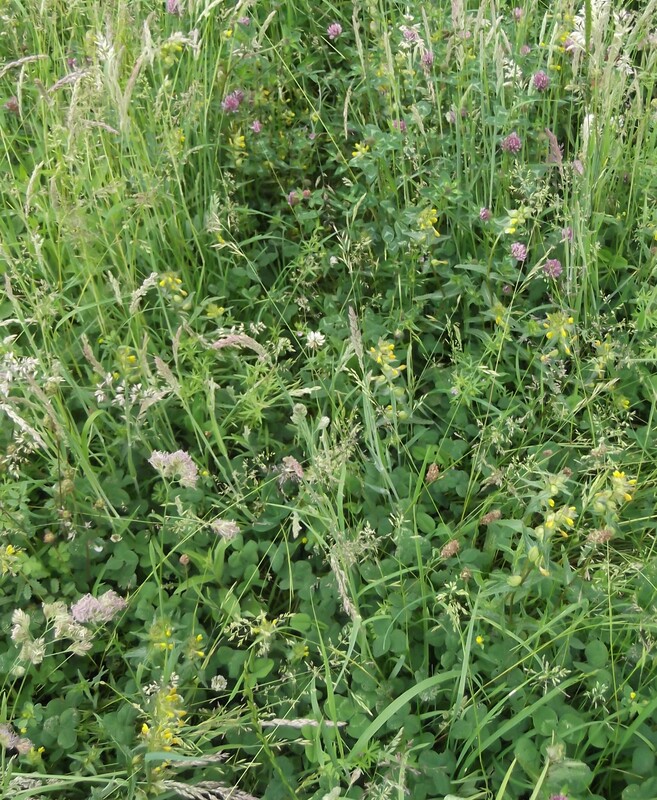 The grass is growing very fast but we try to mow round wild-flowers as best we can. On May 15th, Margaret mowed verges while Pam and Louise watered plug plants. Malcolm selectively removed some of the nettles and ground elder from the English bluebell patch. In the photo taken at the end of the session Pam, Margaret and Louise take a short well-earned rest on one of the seats MCT installed while Angus tried to work out how to get a drink of water (supplied in his special bowl later!). In the last 2 weeks of May we had several more mowing sessions on the main verges and along Nelsons Lane. MCT is very grateful to Dave Meigh and his team from CYC for re-contouring the tarmac by the gate to minimize the risk of deep puddle formation. 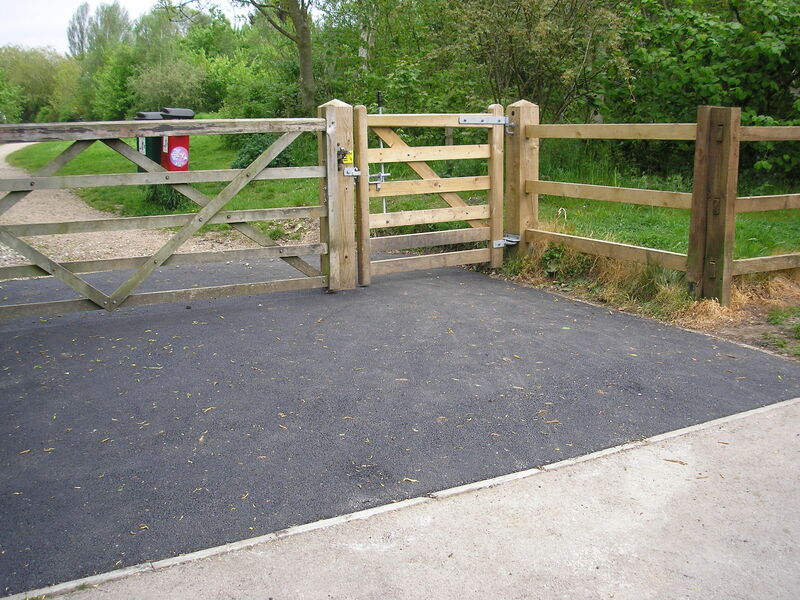 They did an excellent job and, while there, fixed the gate latch which had been jamming recently on occasions. Many thanks. Lots of wild-flowers are starting to blossom on Mayfields now, including the first vetches, cowslips, still lots of primroses and bluebells, daisies and the first buttercup, as well as ragged robin. 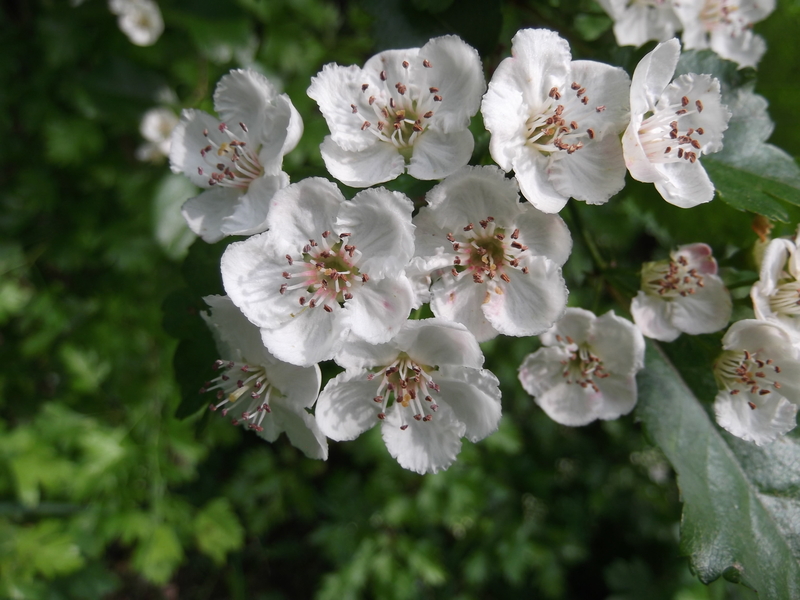 However one of our favourite blossoms appears on the Midland hawthorn (below). If you look up a bit the cherry blossom is lovely too. May day had reasonable weather (at least early on). 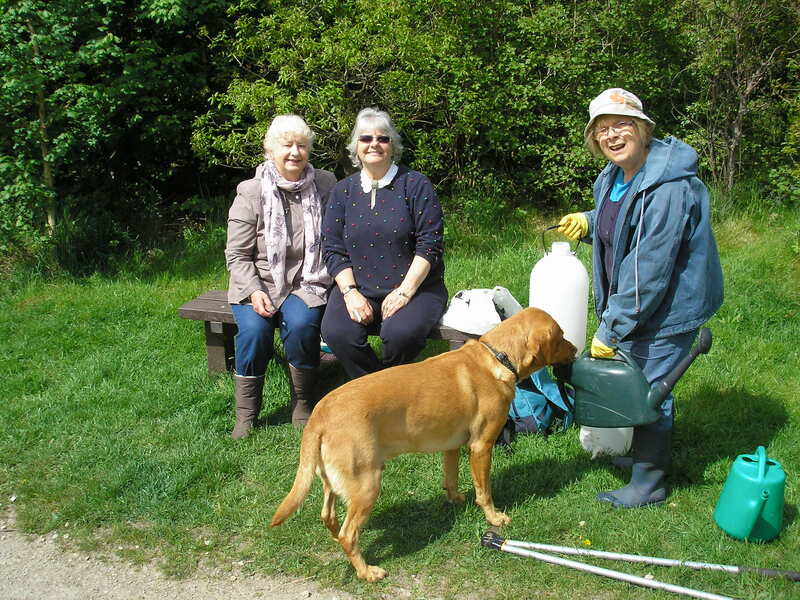 Our volunteers went out picking up litter and (sadly!) abandoned excrement from dogs on the grass verges. That was greatly appreciated by the field work co-ordinator who was then able to put MCT’s new battery mower to good use. We remove clippings to the compost heap as it helps lower soil fertility to the benefit of wild flowers. One of the joys of May is we can start to see the benefits of our having planted more than 1000 English bluebells over the past 2 years. Pam Brown’s photos below were from the north end of the west bund (left) and from near the gate (right). 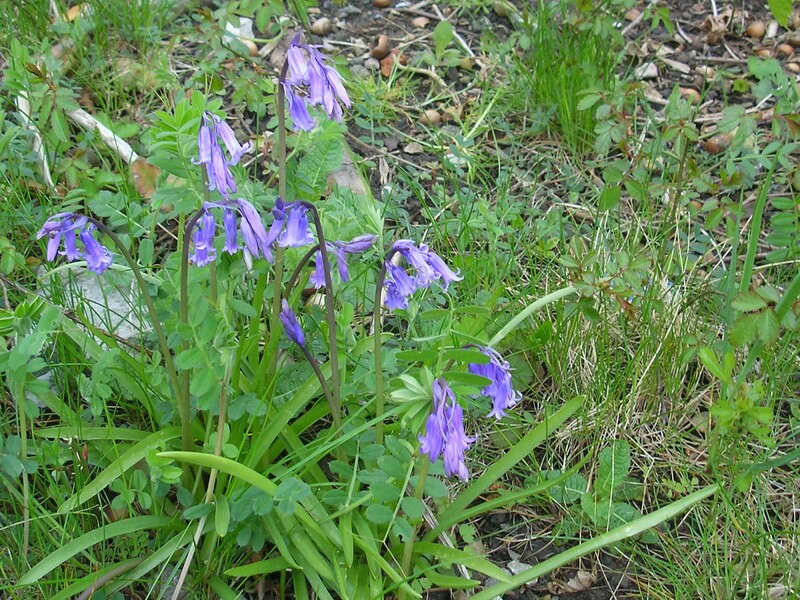 In the land adjacent to the area MCT manages there are still several clumps of alien Spanish bluebells. 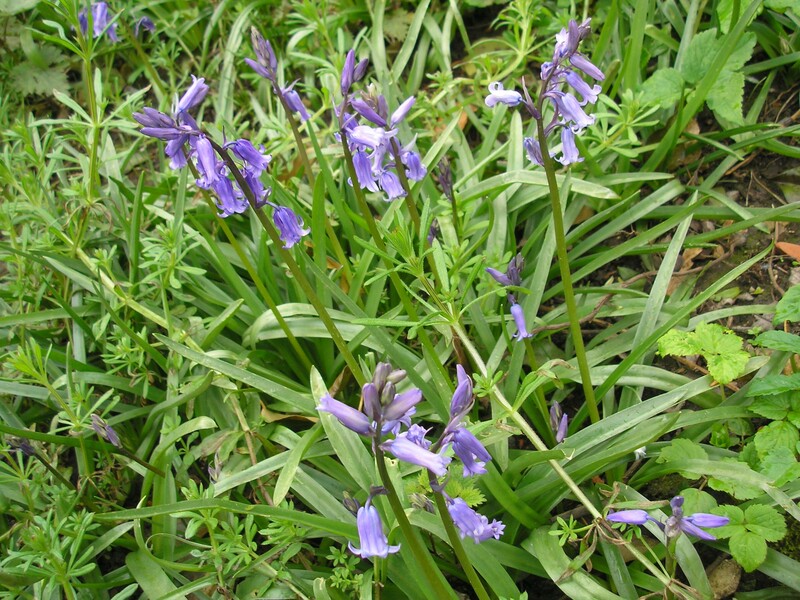 If you read our Bluebell Wars page it explains the difference. We still plan to remove these.